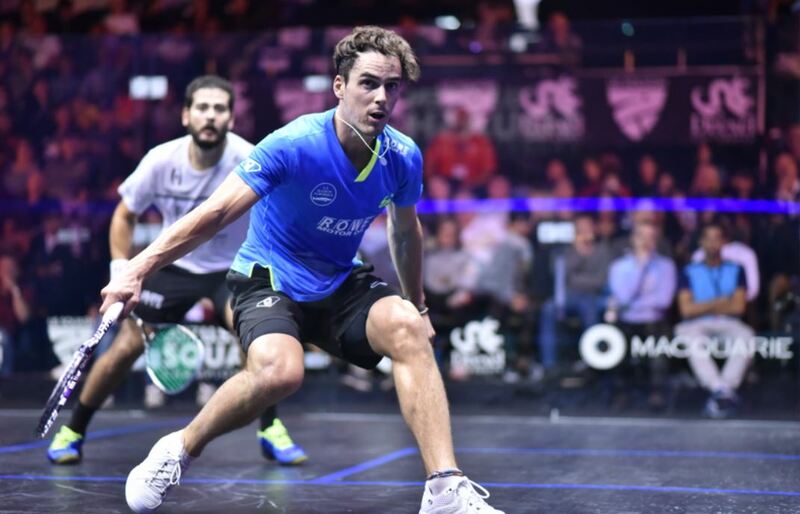 To become a top level athlete, in particular squash, we need to learn how to push ourselves when our body or mind sometimes would rather take a break. As both an athlete and coach I have found this to be both interesting philosophically and invaluable to understand. If you or a kid your coaching is having really tired or just not feeling it that day we normally want to push them or ourselves to get going. We might be more flat footed than normal, have less energy in general and also have trouble focusing. There's a common fallacy that we think quantity of practice and the 10,000 hours will help guarantee we reach an elite level and that the quicker we get to that level the better. As a squash coach for a number of years now you can sense the expectations from coaches and parents on their athletes and how we all want, hope and even expect immediate rewards. When someone isn't achieving the success we want for them we think they need to do more or work harder or make changes to their game. One problem with squash is how much we compare ourselves against other people and get so caught up in results instead of becoming the best possible player you can be and play at a consistently high level. I wanted to win as much as the next person, but I believe that if you focus on improving your own game and have the proper work ethic the results will come eventually. What good will we get out of that session if we are only able to give 50% of what we normally can give? Is that really a productive session? Was there something else that we could have done that would have had more benefit? Perhaps some recovery rolling or stretching or easy biking? Maybe some video analysis or a look at our training plan? Maybe even some feeding with a ball machine or solo hitting would have been more beneficial and perhaps the next day we would have felt better and been more mentally and physically prepared to push ourselves closer to our limits. See it's very difficult to push yourself to your mental and physical breaking point each and every day. Understanding that sometimes less is more is a difficult concept for an athlete and also a coach or parent to understand. We instinctively think someone is being lazy and demonstrates poor work ethic and a lack of desire. We are all human and finding this balance of when to push yourself when you feel flat or off that day and when to mix it up is important. If we look back at the above example, but instead imagine we had a rough start and weren't feeling up for it, but someone once we got going we were able to get closer to 80 or 90% off our normal level that could be incredibly powerful for when we are in a tournament and aren't feeling great. In competition we have to play unless of course we decided to withdraw from the competition. But in a tournament, assuming there is no injury or illness we have to learn to play and not be fresh. At the US Junior Open kids were having 7 matches in 3.5 days; nobody is feeling good going into their last few matches. But if you know you can still get close to your best squash even when you are stepping on court with less than 100% in the fuel tank your mind might indeed be stronger than your opponent. This mental muscle is a skill we need to be a good squash player and one of the differences I've noticed in Canada versus when I've seen kids train and play in other countries is that we don't push our kids as hard; right or wrong. Passion and letting kids have choices in what they want to do is not always a luxury all kids get. There are pros and cons to both side of this perspective, but coming from a Canadian point of view I've always felt that intrinsic motivation can get the job done. There is a lack of structural support and funding here compared to other countries, but if you can find a good coach and people to train with you can become a top class player with years and years of dedication. My final point on this topic is about the title, keeping the quality high. If a coach or parent is the one pushing a kid constantly at some point they are not going to want to step back out on court or they will not be totally mentally engaged in their practices. Some coaches simply try and push their athletes as hard as possible every single time they work with them, but harder isn't always smarter, especially on low energy days. I know a woman who is using a heart rate watch which gives her a red, amber or green signal each day to let her know if she is good to train depending on her average heart rate and I believe quality of sleep. Tools like this can be used to avoid risk of injury and decide on when to push yourself hardest and when to focus more on technique or quality and keep practice sessions high, and the hard ones hard. In university I knew I couldn't physically push myself in every on court session daily, so I would solo hit 2-5 times per week so I could let me brain and body recover proper and still improve my racquet skill. It would have been nice to have fancy devices like the heart rate street light watch and some of this perspective and knowledge back in those days. Today I received an email from a father asking for advice for his son who is a strong player, but a perfectionist. His boy is having trouble handling making mistakes and appears like he is close to quitting the game because of the amount of pressure he's putting on himself to play perfect squash. As I started writing my response I realized that what I was writing about was probably quite a popular issue that good squash players face. This is a psychological issue and something that can be improved. I've included below the email I responded with. Thanks for the email. Being a perfectionist is kind of how most squash players get to a really high level. We aren’t happy with poorly executing shots in a match and practice them over and over to do better. I remember as a kid always wanting to play a perfect game and playing all shots exactly as I wanted. As a kid I didn’t realize how absurd this goal was. As I got older I learned to focus more on the shot selections. As a kid we often make mistakes playing a poor choice, but as you get more experienced and learn to focus on shot selection you make less mistakes and hit higher quality shots. Shot accuracy can always improve, but when you’re playing the wrong shot it doesn’t really matter how the execution was. An exercise I’d recommend is having your son chart a professional match and make a note of how frequently even the best players in the world don’t hit the ball exactly where they want it. Perhaps their boast chips the 2nd side wall or they don’t hit their crosscourt wide enough. Even the best players miss their targets at least a few times each rally, but usually get away with it if it’s close enough and they are fast enough to recover. 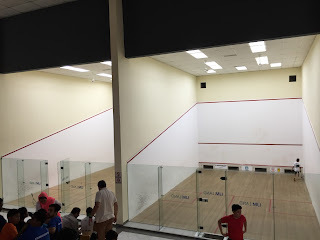 It’s impossible to play a fast paced open skill sport like squash perfectly, but the aim should be more on good decision making and consistency to targets will improve as the practices accumulate. That’s about all I can offer. Hope it’s helpful. And in final, a break is not always a bad occurrence. Kids have to go through things on their own sometimes so don’t put added pressure on him with your expectations for him. He’s not you and what you would do in his position is very different and should not be compared. Best of luck. Do you have any other tips that could help someone in this situation? Have you had to learn how to deal with this? Obviously the pressure of competition and playing against another good player will force you into making mistakes. As you improve your ability to reset after points, learn to get out of trouble after hitting a weak shot will all make you better at staying in points you may have previously lost as you were too down after missing your targets on a couple of shots. When I play my best squash I'm able to not let mistakes bother me at all and focus only on shot selection. If my shot selection is good I can live with the outcome. Some shots are just difficult and given that same situation and shot 100 times maybe I would make it more times than not, but a strong player can play higher percentage shots where they have very imitated risk and because of this can execute the shot with more confidence. Being able to commit to the shot you hit is a sign of confidence and something you you are going to have trouble doing if you are playing a low percentage shot or tired, or even physically and mentally fatigued. So technique and accuracy in solo hitting is great, but it certainly isn't the most important trait of a top squash player. If you've read the recent article about Dessouky after his loss to Rodriguez you'll know what I mean. Fares is the most technically and physically gifted squash player on the planet (possibly 2nd is Ramy is healthy), but still he lost to a basic, super fit and mentally strong squash player, Miguel. Rodriguez was prepared to go further for the win and this made the difference. It really demonstrates how critical the mental game is from being a perfectionist to being able to bring your best squash on each and every day at the highest level in the game. Enjoy and embrace the challenges and lessons that this sport teaches us. Anyone can become mental giant with practice and discipline, just like acquiring any other skill. Miguel demonstrated that pure tenacity and determination can be victorious even against the very best in the world! SeriousSquashShop.com is home to 2 squash instructional films and loads of merch!